My training began in 1997 when my parents enrolled my brother and I in the National Karate school in Maplewood MN. There I learned Taekwondo and sport sparring. I paused formal training in 2000 shortly before the school location was closed but an ember of interest was already lit. I continued informal training under my father Rick Wurdeman (1st Dan, ATA ~1973) and participated in wrestling until high school where I focused on track, football, robotics club, band, and a number of other extra curricular activities. When I enrolled at Hamline University in the fall of 2010, I searched for a place to train in Taekwondo. My father had died in the spring of 2010 and I wanted to be closer to him any way that I could. At Hamline, I enrolled in the Taekwondo class taught by Master Robert Frankovich (7th Dan World Song Moo Kwan United -May 2017). 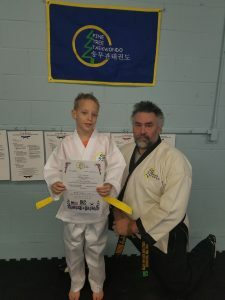 I also attended regular classes at the Twin Cities Dojang (Master Frankovich’s headquarters) and St. Paul Dojang under Mr. Tom Ferry (3rd Dan, Pine Tree Taekwondo). I could not get enough training; I was hooked. 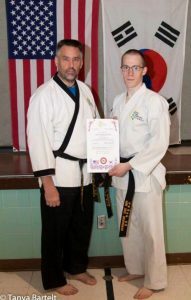 In February of 2011, I began training in Song Moo Kwon Taekwondo. 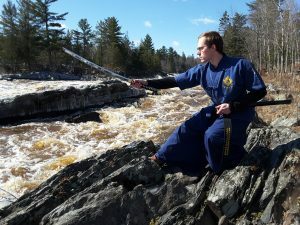 I then added Haidong Gumdo (Korean Sword) in late spring, 2011. 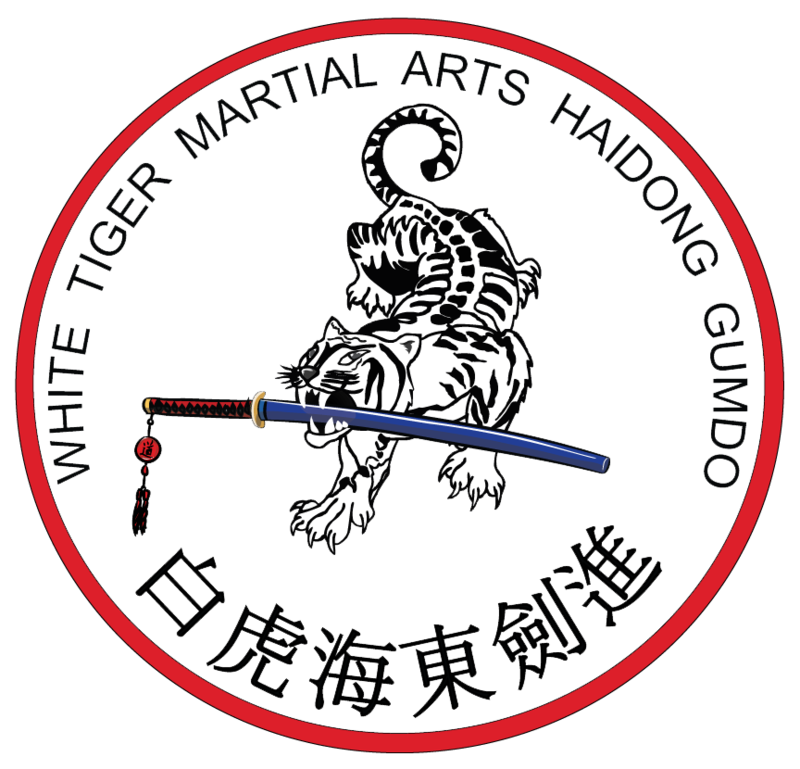 1st Dan Haidong Gumdo -April 4th, 2013. 1st Dan Song Moo Kwan Taekwondo -May 3rd, 2014. 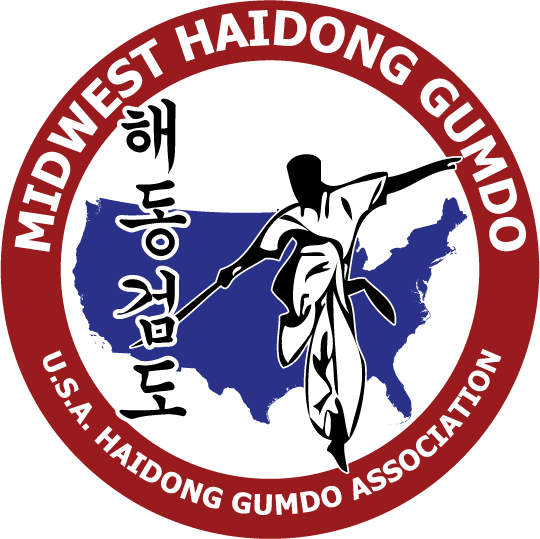 2nd Dan Haidong Gumdo -May 7th, 2016. 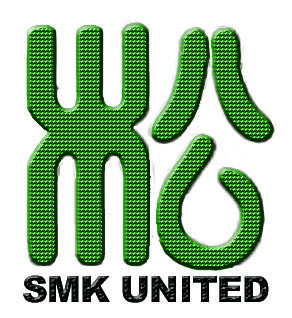 1st Dan Kukkiwon – October 7, 2016.